According to Ma Xiaoguang, spokesman for China's Taiwan Affairs Office, if any crisis occurs between Taiwan and China once Tsa Ing-Wen and her Democratic Progressive Party (DPP) takes power, it will be the fault of the new government and not China. The statement has been made following increasingly strained ties between the two governments. China has been accused of "political interference" after Beijing cast doubt over the island keeping its observer status at the World Health Organisation. Taiwan's new government will be to blame for any crisis with China that erupts once it assumes office, Beijing said on Wednesday (11 May 2016), heaping on the pressure ahead of the inauguration of a new president from a pro-independence party. Tsai and the DPP won presidential and parliamentary elections by a landslide in January, in part on rising anti-China sentiment. Beijing has never renounced the use of force to take the island which it considers a breakaway province, particularly if it makes moves toward independence. 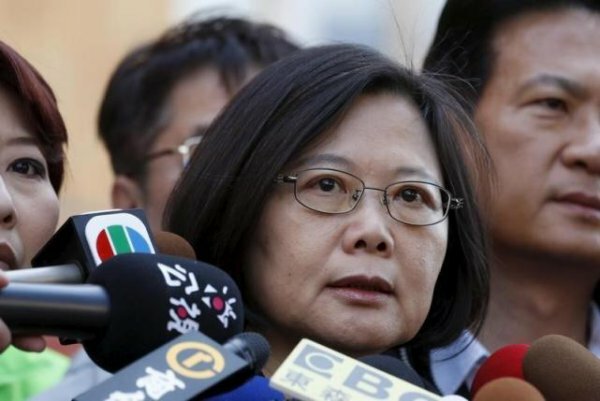 Tsai, who assumes office on May 20, has said she will maintain the status quo, but has never conceded to a key bilateral agreement referencing the "one China" principle, which has angered Beijing. Under the "1992 consensus" with the Nationalists, Taiwan and China agreed there is only one China, with each having their own interpretation of what that means. Defeated Nationalist forces fled to Taiwan at the end of the civil war with the Communists in 1949. Ma Xiaoguang, spokesman for China's Taiwan Affairs Office, said it was clear who was "destroying bridges" and trying to change the status quo. "If there are those who are unclear on this point, or are offering encouragement from the wings, this is really not a sensible act," Ma told a briefing live on state television. "We must repeat, if there is deadlock across the Taiwan Strait, or if there is a crisis, the responsibility will be on the heads of those who change the status quo." China has been pressuring Taiwan since the January election, forcibly repatriating Taiwanese fraud suspects from Kenya and Malaysia and establishing diplomatic ties with a former Taiwanese ally in Africa, Gambia. On Sunday, the incoming Taiwanese government accused China of "political interference" after Beijing cast doubt over the island keeping its observer status at the World Health Organisation. Ma said Taiwan's previous participation had been predicated on acceptance of the "one China" principle, something recognized by the United Nations, of which the WHO is a part. "With a challenge to the one China principle which has the recognition of the international community, the relevant arrangements will be hard to continue," he said. Taiwan has attended the annual gathering of the World Health Assembly, the decision-making body of the WHO, since 2009 as an observer.